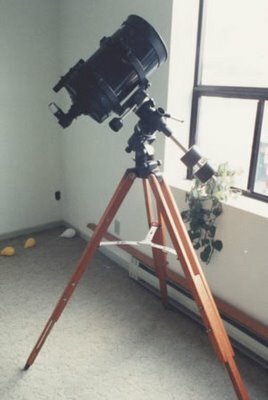 It was like a dream come true, finding this telescope on sale at Efston Science. It was the type I wanted given my varied interests. Stu helped me, in the back of his Jeep, bring it home. triangular plastic case for the mirror, eyepiece, etc.